We already know from past news reports that many college students use their loans for things other than education such as paying for spring break vacations, car payments, and buying iPhones. 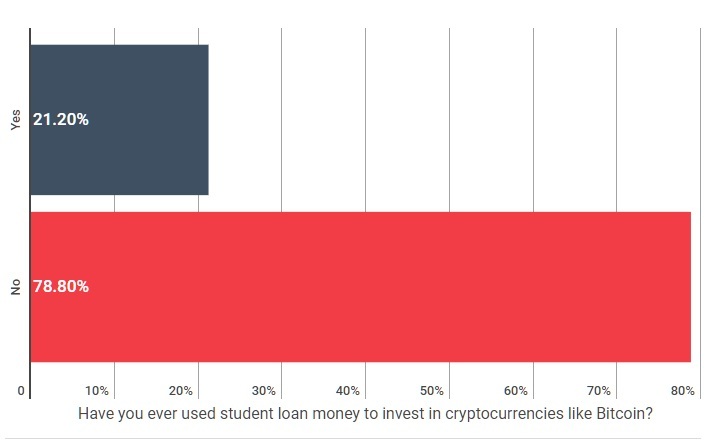 But a new study out on March 23 shows that upwards of 20% of these students are also using that money to buy Bitcoin and other cryptocurrencies. The irony of course is that over 90% of all student loans are underwritten by the U.S. government (Sallie Mae), which means Washington is inadvertently subsidizing the buying of cryptocurrencies. With an estimated 40% of students expected to default on their loans over the next 10 years, if the government should one day vote to forgive these debts would they also now inadvertently be providing a bailout to the cryptocurrency sector as well?